Iceland's favourite communal spot is the swimming pool but pool rules have baffled tourists throughout the years. 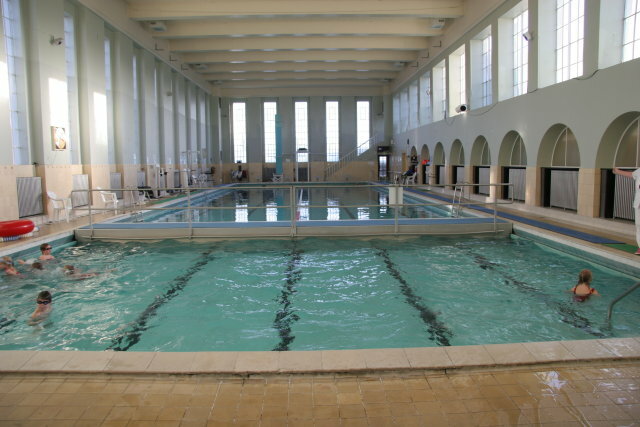 Here's one rule from Sundhöllin, a pool that's also an architectural gem at the heart of Reykjavik: Don't dry your scrotum with the communal hairdryer in the swiing pool. This bizarre notice has now made the pages of Britain's Daily Mail. Readers should note that the Sundhöllin pool didn't actually have this drawing next to the notice, but the accompanying picture was drawn by photographer and journalist Haraldur Jónasson for newspaper Fréttatíminn a couple of years ago. Ultimately, the most important rule of any Icelandic swimming pool is that everyone is required to shower without a bathing suit in the communal showers before getting into the pool. The reason is obvious: good hygiene. We're not sure whether there's an epidemic of men drying their balls with hairdryers in other swimming pools in Reykjavik but just in case, we really don't recommend it. (It also looks a bit dangerous).